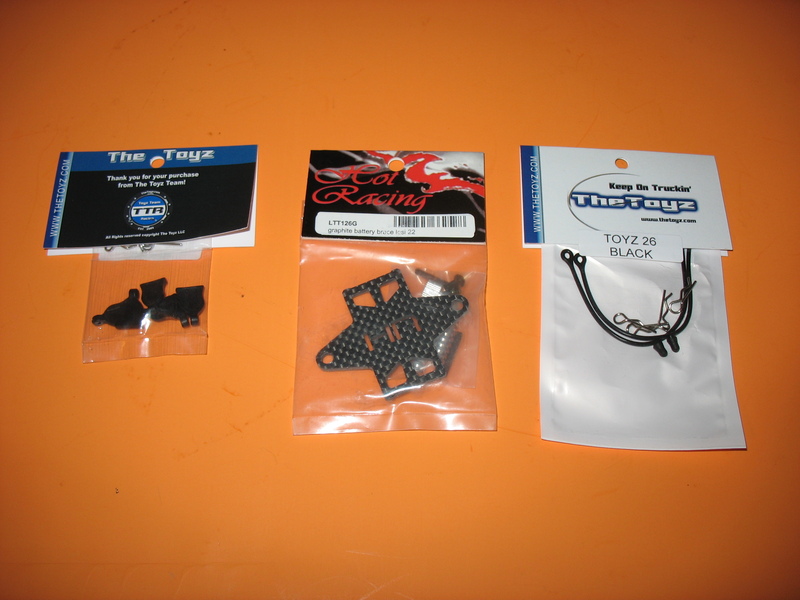 Posted in: Hot Racing, Radio Control, Team Associated, Team Losi Racing. 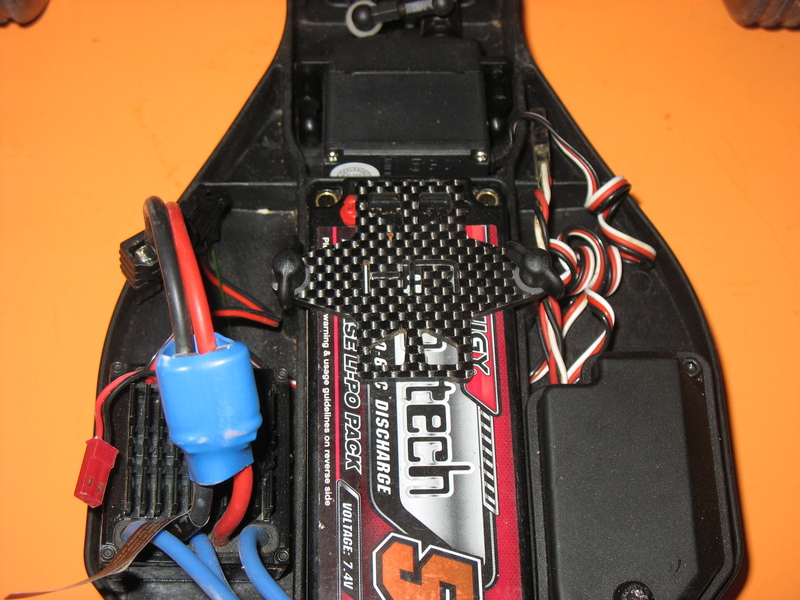 Tagged: Racing, RC, The Toyz, Upgrades. 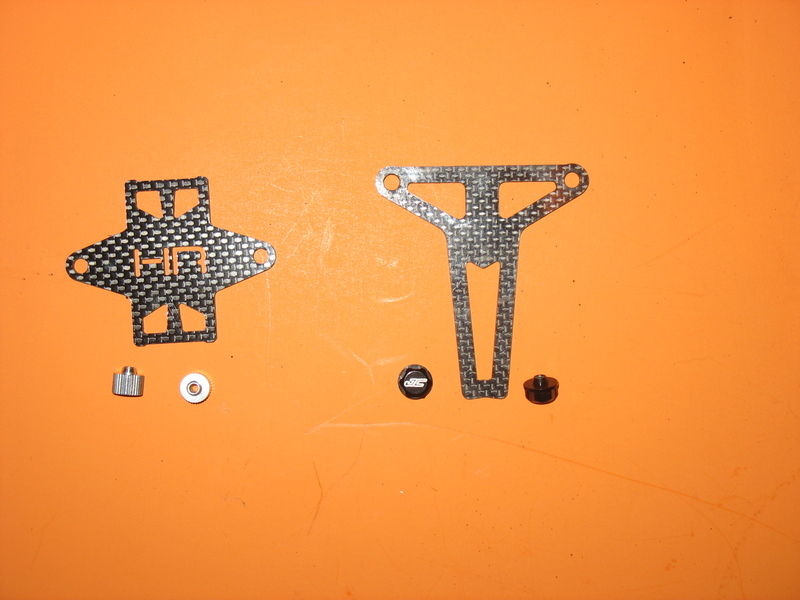 My most recent purchase from The Toyz has arrived, I picked up a servo for my Losi Micro SCT. I also wanted to try a couple of body clip options, the Rubber Pull Bent Body Clips and the Silicon Body Clip Leash, but what I was really after was the Hot Racing Carbon Fiber Graphite Battery Hold Down. 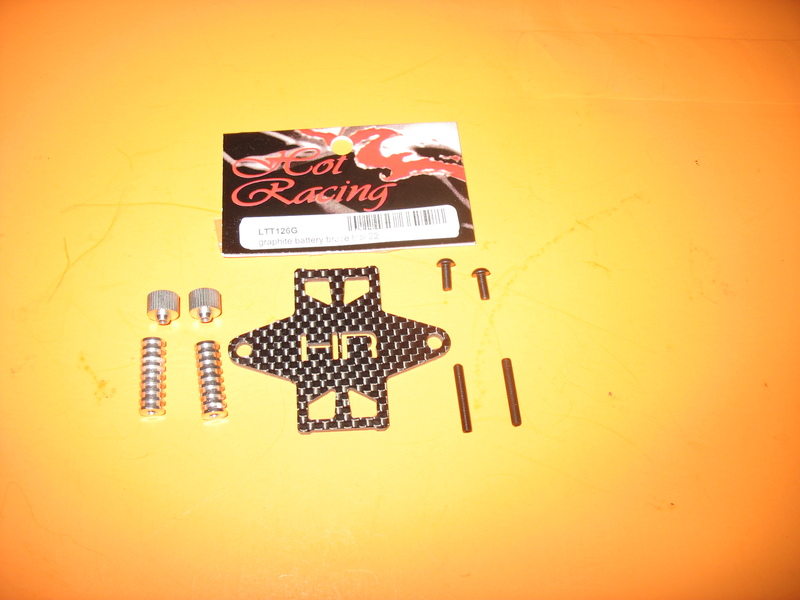 The Hold Down is sold for the TLR 22 22T 22SCT line, and I have found that it also fits the Pro-Line Pro-2 LCG Chassis. I figured I would pick up another one and try it out on the Team Associated B4.2, because the stock Battery Hold Down is a bit of a pain. I prefer the Hot Racing Battery Hold compared to the JConcepts version, simply because I find the thumbs screws to be beefier and easier to work, although I do perfer the size of the JConcepts Hold Down itself. I actually ended up using only the Hold Down on the B4.2, the stock thumbs screws don’t really bother me and this allowed me to use the Hot Racing Thumb Screws with the JConcepts Hold Down, which creates a very nice combo. The Hot Racing Hold Down works great with the B4.2. I haven’t had any issues after 3 batteries and some really rough terrain. It always nice to find another use for a product you like. Shipping from The Toyz was very fast, with the order being placed April 24 and it arriving at my door in Nova Scotia on May 5th, only a week and a half. This was a trip that involved a stop at Customs and fortunately for me no Duties or Taxes.